Eight swords is practically a collection on its own, and without a good stand, they can also be a chore to display. Luckily, though, this 8 Tier Slanted Floor Sword Stand gives you the chance to display eight arms of your choosing with remarkable ease. 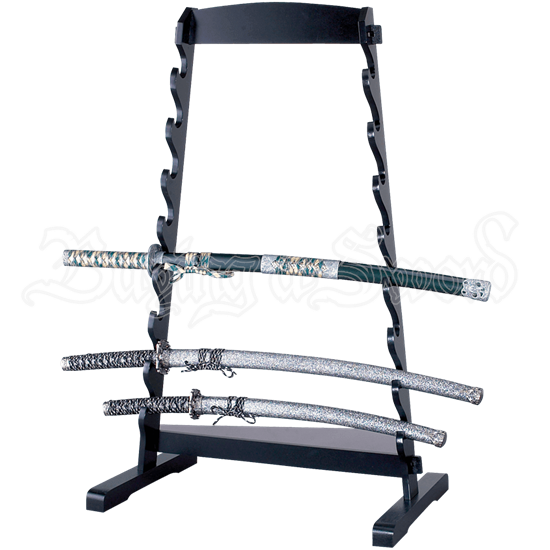 This floor stand is designed with stability in mind, while also featuring a reserved and understated look that ensures that when it is filled with swords, all attention goes to the displayed weapons, instead of the rack they rest on. It features 8 distinctive tiers and a slanted design that brings each of the paired supports progressively closer together. This means that longer weapons are perfect for display on the bottom, while the top will even accommodate some shorter blades. Thanks to a wide base, this sword stand is also free-standing, ensuring that you can set it down and it will maintain its own balance, even when filled. The stand is made from hardwood and features a black lacquer finish. 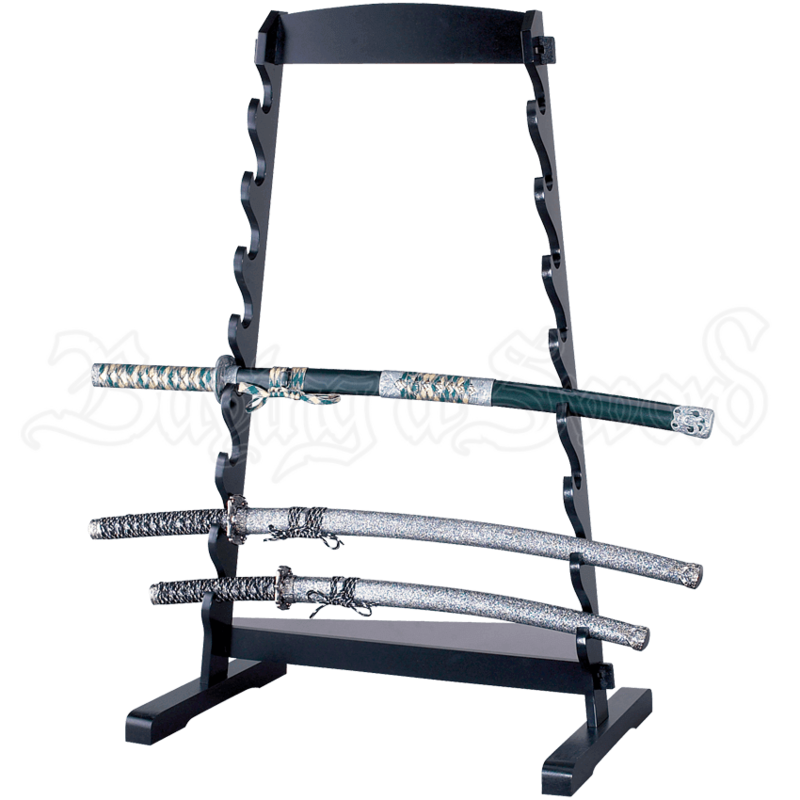 For the collector with swords and arms of varying size, this 8 Tier Slanted Floor Sword Stand cannot be beaten, as its unique design allows it to easily accommodate blades and weapons of all different shapes and sizes.